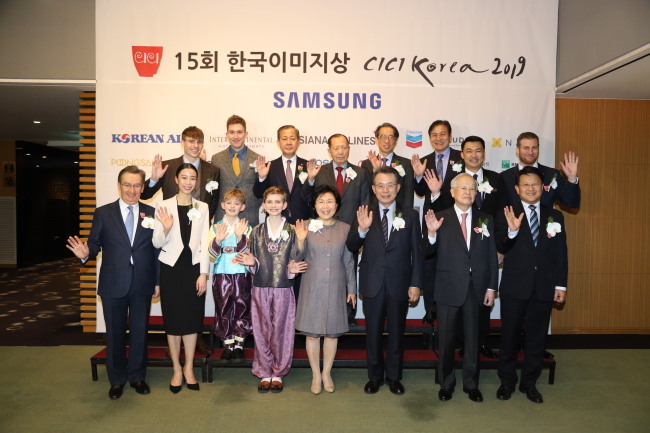 The Corea Image Communication Institute handed down CICI Korea Image Awards to YouTubers Josh Carrott and Ollie Kendal, ballet dancer Park Sae-eun, and the Korean language. 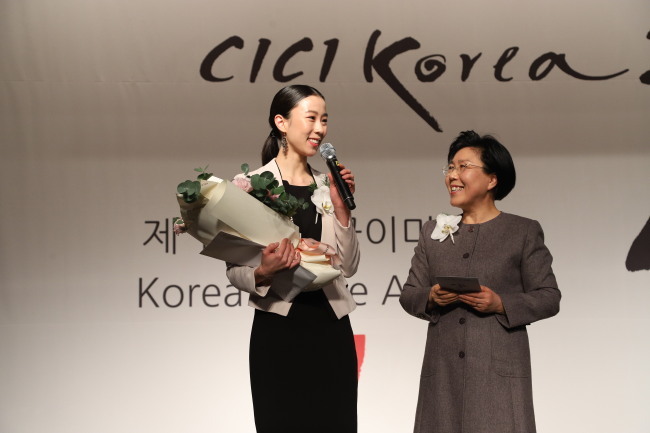 Since 2005, CICI -- a nonprofit organization dedicated to promoting Korea’s image abroad -- has annually honored individuals, organizations and objects that have helped to spread a positive image of Korea. This year’s award ceremony took place at the InterContinental Seoul Coex in southern Seoul on Thursday. The Korea Image Stepping Stone Award went to the Korean language for promoting Korea through K-pop, K-drama and K-design. Two brothers named John and Mack Rock, child models and YouTubers from San Francisco who speak fluent Korean, received the award on its behalf. 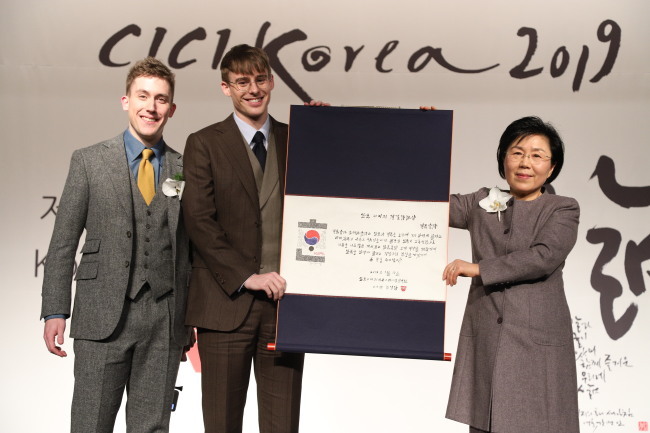 YouTubers Josh Carrott and Ollie Kendal, hosts of the famous YouTube channel “Korean Englishman,” received the Korea Image Stepping Stone Bridge Award. As content creators with more than 3 million subscribers, they frequently upload videos about Korea’s culinary culture and more on the global video-streaming website. “I didn’t intend on creating ‘meokbang’ (eating show) videos. The original intention was to introduce Korea’s culture. The easiest way to learn a culture is through the foods. Introducing a dish to a friend who has never tasted it before, I just naturally eat enthusiastically,” Carrott said during a press event held before the ceremony. He estimated that 50 to 70 percent of the Korean Englishman’s subscribers are Koreans and the rest are foreigners from around the world. For the duo’s second channel, “Jolly,” it’s the other way around. Ballet dancer Park Sae-eun won the Korea Image Flower Stone Award. A principal dancer at the Paris Opera Ballet, last year she won the best female dancer award at the Benois de la Danse, widely considered the Oscars of the dance world. “France is definitely a nation with pride. But it is also a country that recognizes honest passion for the arts. Every time I tried to do my best, I became closer with the people,” Park said. Some 600 high-profile business figures, foreign envoys and opinion leaders attended the gala event. They included former Prime Minister Han Seung-soo; CJ Chairman Sohn Kyung-shik; Hankuk University of Foreign Studies President Kim In-chul; Singaporean Ambassador Yip Wei Kiat; Hungarian Ambassador Mzes Csome; actors Ahn Sung-ki and Song Seung-hwan, executive creative director for the PyeongChang Olympics’ opening ceremony.